Last Saturday, November 5, Karla Lara and Sandra Sánchez were participating in the Caravan for Highway Sovereignty at the Zambrano toll booth in a peaceful protest against increased toll charges and in suport of the right to free circulation instead of increased highway privatization. 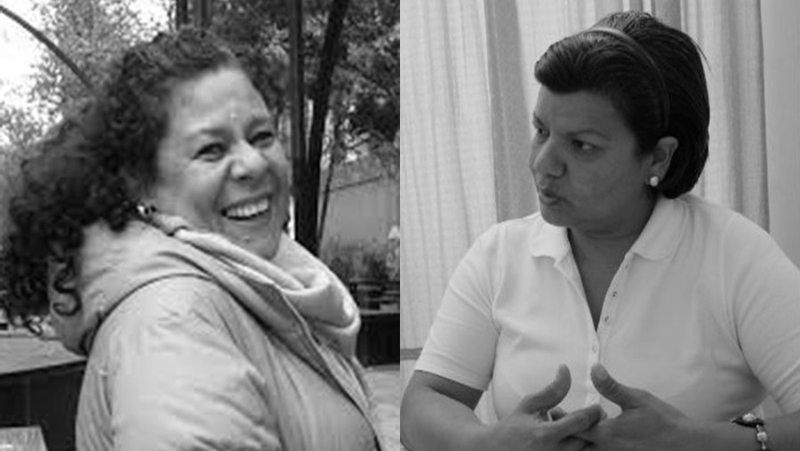 Karla Lara, a member of the National Network of Women Human Rights Defenders in Honduras, and Sandra Sánchez, a journalist for Radio Progreso, were threatened by private security guards of the COVI company and later arbitrarily detained with an excessive use of force by agents of the National Police. Both were accused of “disobeying authority” and taken to the metropolitan police station, where they were held for around 5 hours. They were finally released, thanks to the intervention of Special Human Rights Prosecutor Soraya Morales, given that there were no reasonable indications that criminal charges should be pressed against them. 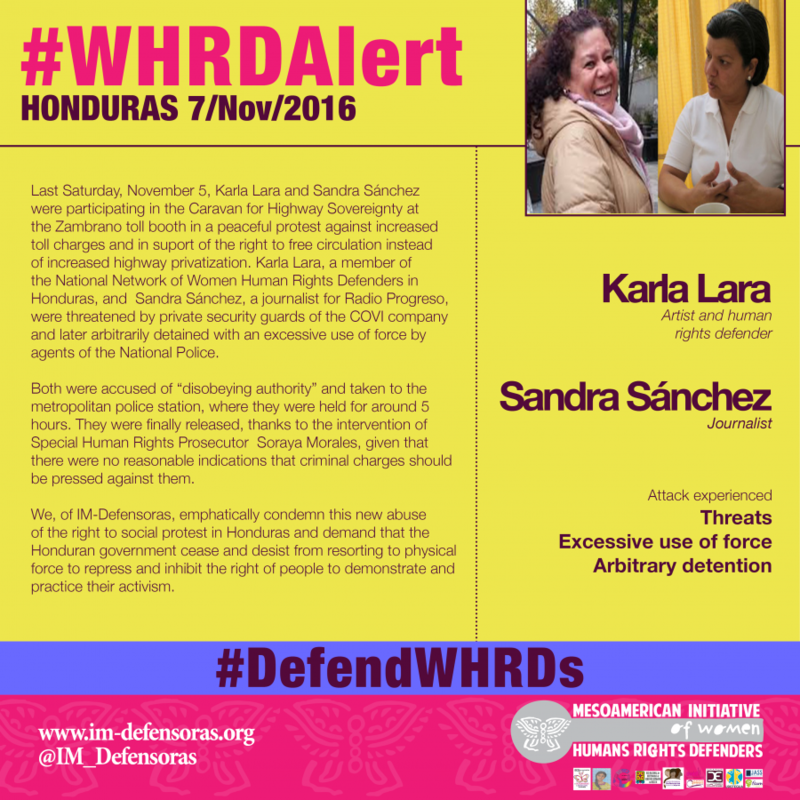 We, of IM-Defensoras, emphatically condemn this new abuse of the right to social protest in Honduras and demand that the Honduran government cease and desist from resorting to physical force to repress and inhibit the right of people to demonstrate and practice their activism.